We are dedicated to serving our clients throughout Phoenix and the surrounding areas. We offer recruiting for positions in an array of industries, while specializing in the recruitment for all positions in the medical field. 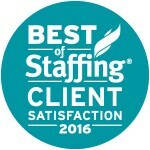 The recruiting team at Staffing First brings many years of experience to your table, which will aid in finding the perfect fit for any of your open positions. 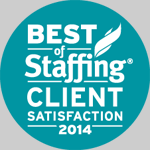 We’re excited to announce we won Inavero’s Best of Staffing® Award for exceptional client service! Fewer than 2% of all staffing agencies earn this award making us very proud indeed! We invite you to take a look at the Best of Staffing website that has been created for Staffing First here. To work side by side with the healthcare providers in our communities, with the intention of providing the best and most qualified talent available so that the highest level of healthcare can be provided to the citizens of our great community. To become the leading resource for staffing in the healthcare field in each community we are a part of.